Not long ago, I wrote in this space how chefs and restaurateurs love to hate San Diego Restaurant Week. The same might be said of Valentine’s Day, albeit for different reasons. Some of it is the fact customers arrive in twos rather than fours, effectively cutting the seating capacity of the restaurant (and thus its revenue) dramatically. 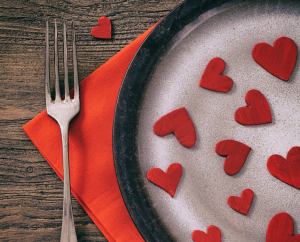 It is also likely because Valentine’s Day diners expect different things from their dinner than do diners on other nights. They want romance more than haute cuisine; flowers not foodgasms. And yet it is not as if restaurants close on Valentine’s Day. Quite to the contrary, the lure of a legion of additional diners — ones who would not likely otherwise be dining out — looking for a place to celebrate is too great. The result is a slew of special Valentine’s Day menus at some of the best restaurants in our region. 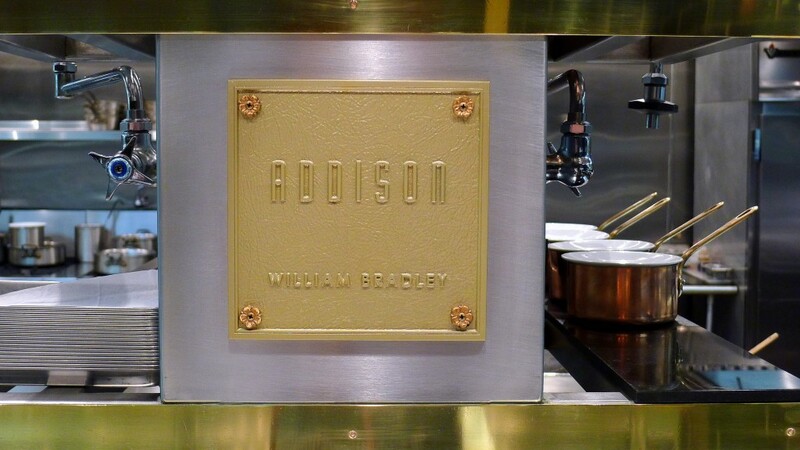 At Addison, Chef William Bradley’s team will be offering a nine course tasting menu executed with a level of perfection that is almost inarguably unrivaled in San Diego. 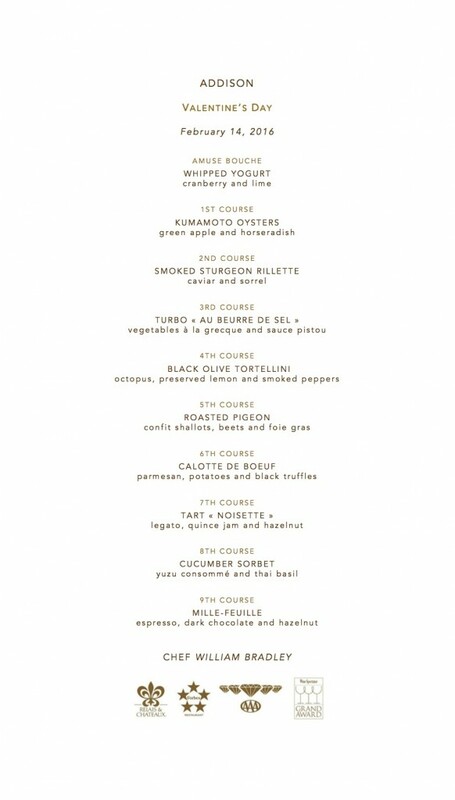 I would probably go just for the Roasted Pigeon with shallot confit, beets and foie gras. The Wellington is offering a three course (plus amuse bouche and champagne toast) “Feed Your Love” tasting menu in which diners will chose from four options for the first course and four for the main. I would go with the appetizer of a Red Velvet Soup featuring roasted Red Door Garden beets and a goat cheese crostini. A main of pan seared duck breast with smoked baby carrots, risotto and a balsamic port reduction would likely be irresistible for me. Bellamy’s in Escondido is offering a four course tasting menu (with optional wine pairings) full of highlights. I would be having the Foie Gras Torchon. If it is on the menu I always do. CUCINA urbana in Banker’s Hill and CUCINA enoteca in Del Mar are taking a different tack. 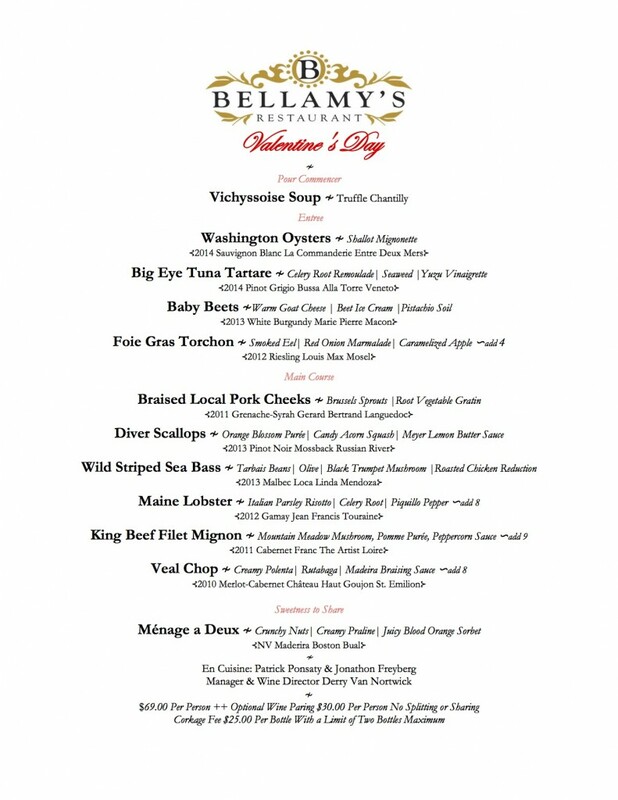 Instead of the ubiquitous Valentine’s Day tasting menus they are offering their usual menus with the addition of a slate of specials. Two standouts are a pan seared black code with shrimp tortelillini and tatsoi with saffron brodo, for example in Del Mar, and espress/aleppo roasted venison loin with a parsnip puree, braised winter greens and a chefrry sugo with onion nest in Banker’s Hill. Romance in a restaurant is a main course of dating. There’s no reason it should not be a dessert too. Even if the chefs and restaurateurs may not be quite so enthusiastic.